—How To Remodel Your Kitchen To Suit Your Everyday Needs? It is only in recent years that the importance of a bright and cheerful kitchen has been recognized. The drab and the dingy below the ground sculleries were considered adequate when cheap labor was available. Today a very different attitude exists. The kitchen has become the focal point of both the small and the larger homes. Not only must the kitchen be a labor saving one but it must also be a place where it is a pleasure to work. The common complaint of most owners of the houses built before is that kitchens are made too small [small kitchens], placed far too dark and crafted with a house design to end up simply squared within four walls. And their great concern is to modernize their kitchens as much as possible at reasonable cost. For all livelihood and pleasure foods, its storage, preparation and clean-up create constant demands on the kitchen. Whether your own kitchen is a nostalgic nod to vintage décor or a sleek, stainless steel shrine to modern design, its basic lifestyle challenges are the same. So how do you create maximum storage, corral clutter, and maintain an illusion of order without hiring a full-time staff? 1. Instead of adding more built-in cabinets to the kitchen of interest move in a free standing kitchen cabinets. The base of an old hutch, a breakfront from a dining room or a painted dresser would be a perfect example. 2. 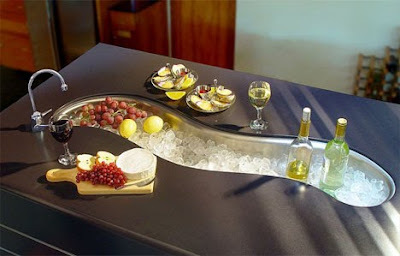 Add a marble or stone top for an easy-to-clean surface. 3. Convert small corners to a storage spot by putting an antique pie safe there. A wire mesh front will provide a visible storage while a pierced tin front will hide the less interesting items as well. 4. Walk-in pantries are wonderful, but if a closet cannot be sacrificed or given over, consider a small armoire instead. Retrofit the interior to hold your favorite spices, oils, vinegars and other cooking staples. 5. Stock an upper shelf with cooking chocolate, almond paste and other specially ingredients. On the other hand, store measuring cups, cupcake pans, tart tins and baking sheets in the lower levels. 6. Dedicate one shelf to a row of mixing bowls in a range of varying sizes. 7. Central worktables work well as both extra prep areas and casual dining spots. Also, make sure there is a storage space underneath to maximize the potential of an additional peace of furniture. In a shelf under the table, store clear canisters filled with dried pastas, herbs, grains and spices that you use most often. Not only will you have your favorite ingredients easily accessible to the work surface, but you also can see when the supplies need refilling. 8. Mount wheels on the legs of the tables to make it easy to move when needed. You can always choose wheels that are lockable so that accidental movements of the kitchen furniture by children can be avoided. 9.Large tables are ideal, but even a relatively small, old square chopping block can do double duty as a work area and a place for quick breakfasts. A couple of chairs can also be added. 10. Always try to keep a counter stool handy in the kitchen. 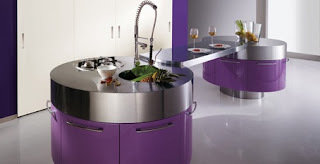 It is a good place to sit while you are chopping vegetables or to lean while stirring a long simmering risotto. Step stools are invaluable in the kitchen when you need access to upper cabinets or even just to change a light bulb. An antique library ladder or a vintage chrome step stool would be ideal for this job. 11. In a small eating area, it is good to use folding metal garden chairs for extra seating. When not in use, these chairs can hang from sturdy pegs on the wall or be stored in a nearby storage closet or mud room. 12. Hang an open cabinet with shelves near the kitchen dining area. Stock it with your most frequently used dishes to make the table setting easy. 13. Sliding pallets in the cabinet near the kitchen table keep placemats and napkins orderly and accessible. 14. A broom closet wastes valuable space if filled only with brooms and mops. Move them to hangars at the back of another door, may be inside the laundry or mud room. Then try adding shelves to the closet for china storage. 15. Moreover, a glass front door will show off all the captivating and colorful dishware. 16. In the eating area, build a simple banquette with deep drawers underneath. Keep family games, linens and back-up household supplies here. 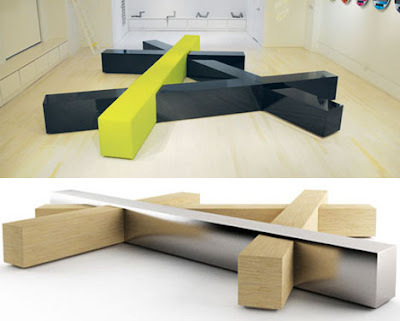 Alternatively, leaving large cubbyholes underneath the seating surface will also serve the same purpose. Outfit these with big baskets with sturdy handles. 17. Installing an interior Dutch door would be a better idea. You can keep the lower half closed when heavy cooking takes place so that you can keep your children and your guests away from the kitchen. At the same time, you can communicate with them using the opened top half. 18. If watching TV is a must in your kitchen, have the set mounted under or inside a cabinet. Treat radios and stereos in the same way. 19. Install some towel bars and hooks where you need towels the most, around the sink or the prep area. You should be able to look, reach, wipe and then return the towel to its holder rather than dropping it in a clamp heap near the counter. 20. Keep a small whiskbroom and dustpan for quick counter sweeps of some leafy vegetables, flower cuttings and spice or flour spills that are made worse when cleaned up with a wet sponge. 21. Choose one or two upper kitchen cabinets and remove the doors. Use these open shelves to display collections of your favorite china or glassware [Kitchen decor]. Keep in mind to paint the cabinet interiors a color that showcases the contents, perhaps bright yellow as a backdrop for blue and white spatter-ware, dove gray for cream-ware or brick red for yellow dinner-wares [Kitchen colors]. 22. Pull collections from cabinets and drawers to hang on the wall. A row of rolling pins, collage of cookie cutters, or grouping of pottery platters adds decorative interest and frees up kitchen storage space. 23. A single decorative hook for your favorite sauté pan, mounted as close to the cook top as possible, will save dozens of steps at every mealtime. 24. Unless you bake frequently, don’t waste counter spaces with canisters of flour, sugar and salt. Instead fill them with things used every day like cornflakes, coffee or instant creamer. 25. Transferring the contents of partially filled boxes of pasta, crackers, cookies, or cereal into small, stackable plastic containers can be a pantry storage salvation. 26. Twin trashcans that pull out from underneath the sink allow speedy sorting for recycling. 27. Instead of using a single-dept egg-crate divider in a drawer designed to hold bottles, why don’t you install stair-stepped dividers so that shorter bottles are easier to reach. 28. Hang a five pocket file next to the kitchen desk area to hold take-out menus and must-try recipes. 29. Mount a small shelf at the eye-level to store your most frequently consulted cookbooks. 30. Place a large, antique galvanized-metal tub near the kitchen table to hold some of the informative newspapers for breakfast-time reading. When the tub is fully filled, it is perhaps the right time to recycle. It has been declared that in a badly designed kitchen, a busy housewife caring for a family of four will cover several miles a week because of many unnecessary fetching and carrying. Lastly, the kitchen which offers the ideal working conditions should also be tailored to the physique of the person who will spend most time in it. Thanks for these wonderful tips. I have this small kitchen and breakfast in it is something I hate because I can't move well. This is the wonderful information. And these all tips are remarkable. I think, you are doing great work with your post. Central worktables work well as both extra prep areas and casual dining spots. Also, make sure there is a storage space underneath to maximize the potential of an additional peace of furniture.Thanks for nice information. One of the best ways is to open your kitchen up, literally – tear down the wall between your kitchen and living room. Join these two gathering places into one open one. 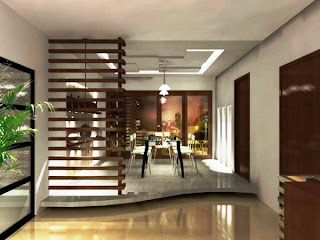 Most newer homes are being built with this concept of open space already incorporated. The kitchen no longer has to be completely hidden from the living room as it seems to be in most older homes. It's a nice and very beautiful blog. I'm very happy to read this blog, the article are also so interested. According to me kitchen is the heart of our house. 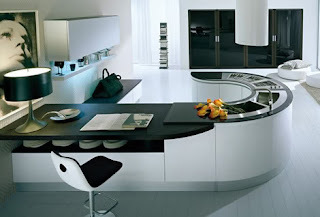 Thanks for sharing this fantastic post about kitchen interior. Great post i really appreciate this post it seems that there's a lot of interesting on this site.